I needed to do my prep work for watching The Black Panther and so Laura and I recently rewatched his first appearance in Captain America: Civil War. I hadn't thought too much about that movie since watching it originally during the summer of 2016. In my mind the event of Winter Soldier and Civil War had combined and I had totally forgotten that one of the intense fight scenes from Civil War was filmed at Laura's previous college, Clayton State University. Disney films a large part of their Marvel films in and around the Atlanta area. For example, the S.H.I.E.L.D./Avengers headquarters is actually a CGI-ed version of a Porsche factory that is located about 10 miles from where we used to live in Morrow. They are always looking for unique locations particularly modern, futuristic buildings that might fit into the super tech world of the Marvel superheroes. One such building is the James M. Baker University Center on the Clayton State campus. It is one of the newer buildings on campus and has floor-to-ceiling glass walls in several areas of the building. In Civil War, Captain America, the Winter Soldier, and Black Panther have a chase battle across Bucharest and the three are arrested after the chase. 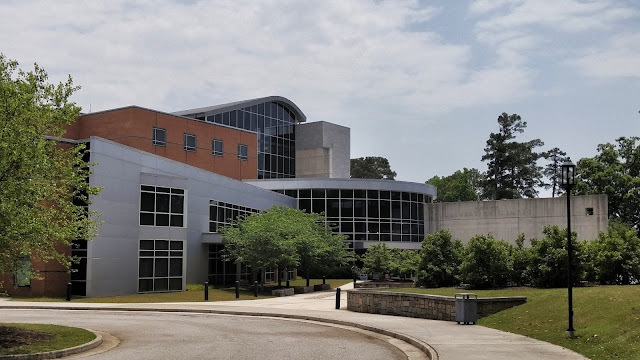 The Winter Soldier eventually escapes custody and as he is escaping from the police station they have a fight in a hallway that was filmed in the Baker Center at Clayton State. As Iron Man is about to blast the Winter Soldier, you can see the huge glass wall that dominates the front side of the Baker Center. If you go down those stairs leads to the college's cafeteria. Here is the opposite view and you can see the other glass wall that is in the distance at the end of the hallway. Black Panther and the Winter Soldier have a fight in front of the center's snack shop where I would frequently buy Diet Cokes from that cooler in the background. Here's final shot as Black Panther is standing in front of the coffee shop. The tables and chairs featured in the film are the ones that are at the Baker Center but they were never placed along the wall on the left. Taking the stairs to the right will leads to classrooms. 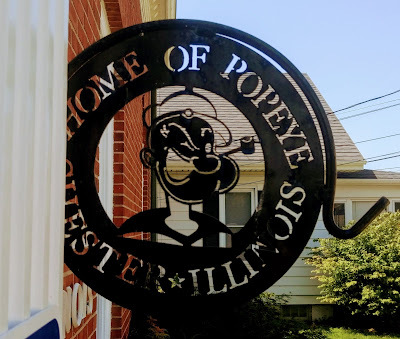 With my parents visiting us in Decatur, we headed to Southern Illinois and the city of Chester which would give us a view of the solar eclipse with 100% totality. 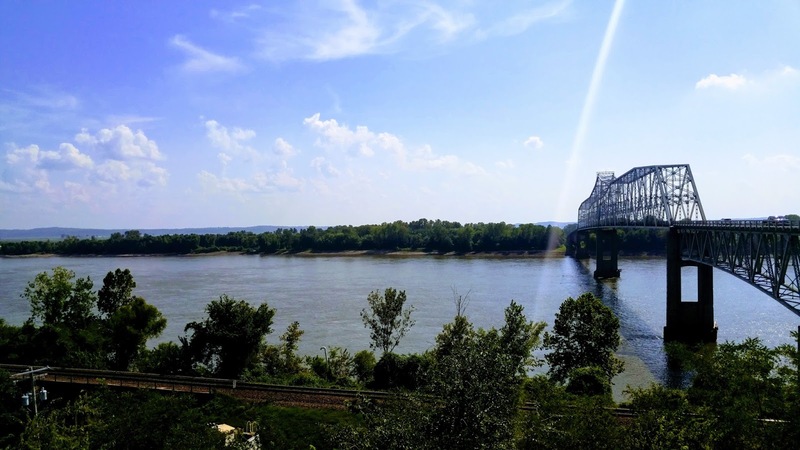 Chester is located right on the Missouri state border (with the Mississippi River in between). We took a quick two minute drive across the river over the bridge featured in the above photo to say we got to briefly see the Show Me State and then returned to Chester. It was only later that day when my Dad was reading a travel guide about another southern Illinois city, Sparta, that we learned that we had inadvertently visited the setting of one of the most memorable scenes of one of my all-time favorite movies. The movie In the Heat of the Night is set in the fictional town of Sparta, Mississippi. Because one of the film's co-stars, Sidney Poitier, refused to film in the segregated South, the majority of the scenes were filmed in Sparta, Illinois. In one scene, the police chase a murder suspect through the woods, down the banks of a shoreline, and across some railroad tracks. The suspect makes his way up the side of the bridge and he things he has escaped the police by crossing the river and making it into Arkansas but Rod Steiger's character has been waiting for him on the bridge the whole time. Here's the film's scene and you can see that it is clearly the bridge in Chester. A future trip to Sparta, IL to track down some of the other locations from the film will certainly happen! The Bridge Scene From In the Heat of the Night  from Matt Flaten on Vimeo. This first photo was taken in December 2016 on Oakland Avenue near Millikin University here in Decatur. It is a case of "what could be" as the wall is on a main street around campus and was clearly something purple once long ago that was covered with smaller ads over time. Decatur has recently been very pro mural, with several going up around town, most notably a Bob Marley one completed last year. 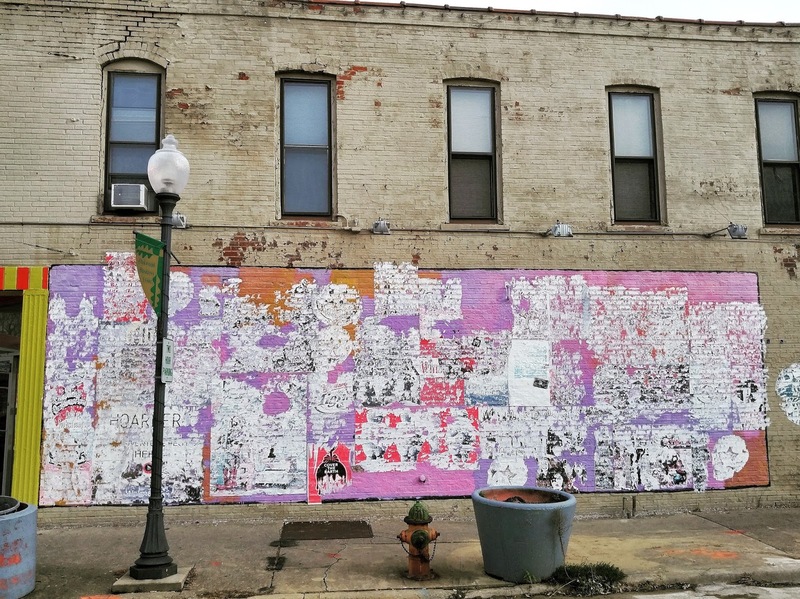 It was announced earlier this year that a new mural was going up on Oakland Avenue and over the past few weeks it went up. 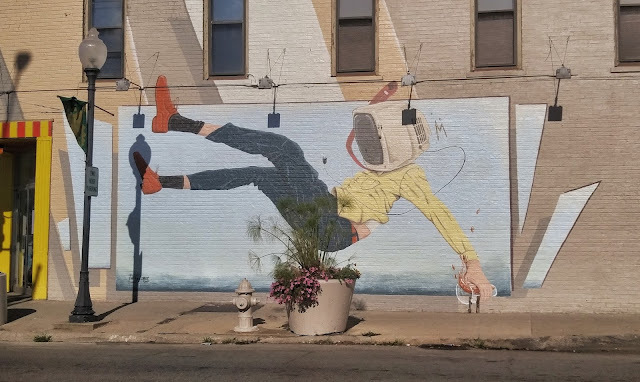 And here is the new mural which I guess is a commentary on watching too much TV. It's not exactly the most striking social commentary but then again this is central Illinois and we're not exactly pushing the boundaries. Plus, black socks and brown shoes? How uncouth! Either way, it is certainly an improvement! While I was up in Chicago taking part in the National Sports Collectors Convention a couple weeks ago, I had to stop by Ann's Bakery and Deli to pick up some pelmeni to bring back home to Decatur. The deli is located in the heart of the Ukrainian Village in Chicago and it reminded me I never got around to posting the photos from our initial visit several years ago. 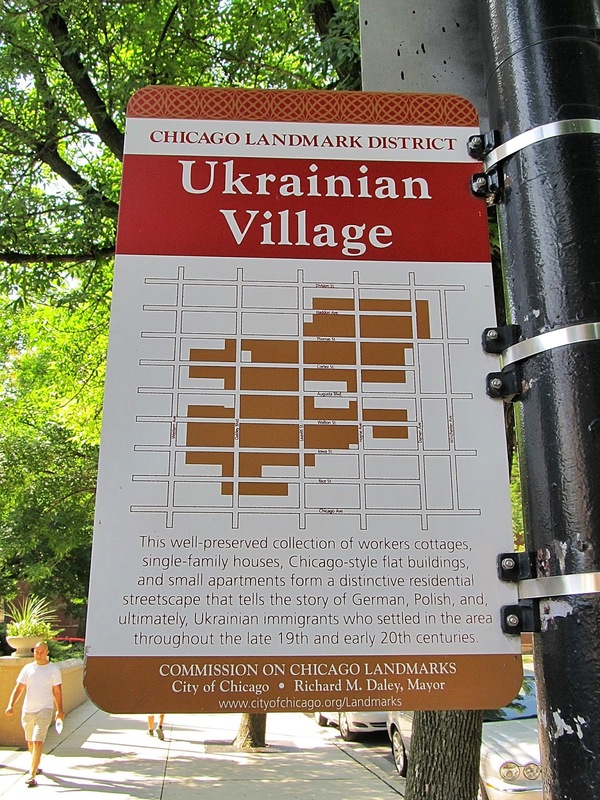 The village is located on the westside of Chicago and it grew to prominence in the 1910's and 20's as many Ukrainian immigrants moved to the city. 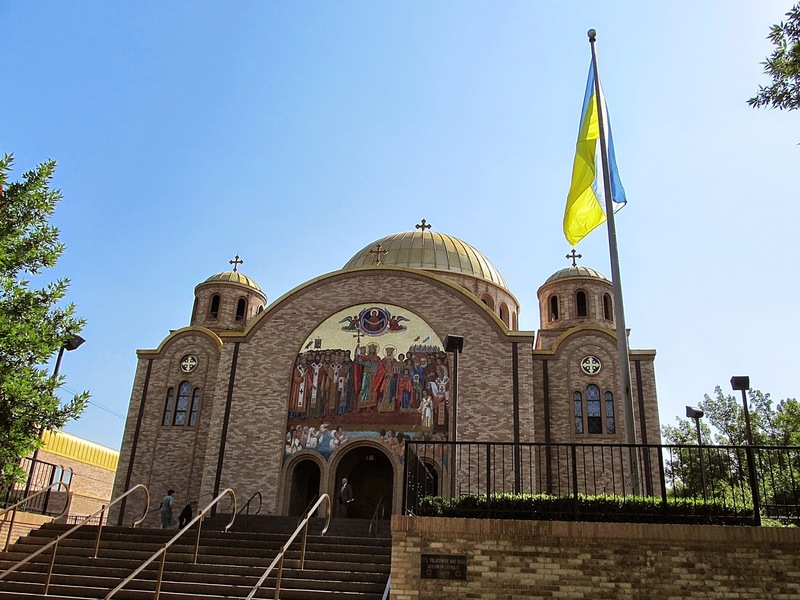 The district saw many eastern European groups move there, most famously Ukrainian Catholics who built several churches in the area including three central ones, St. Nicholas, Saints Volodymyr and Olha, and St. Volodymyr. Our first stop was at St. Volodymyr. 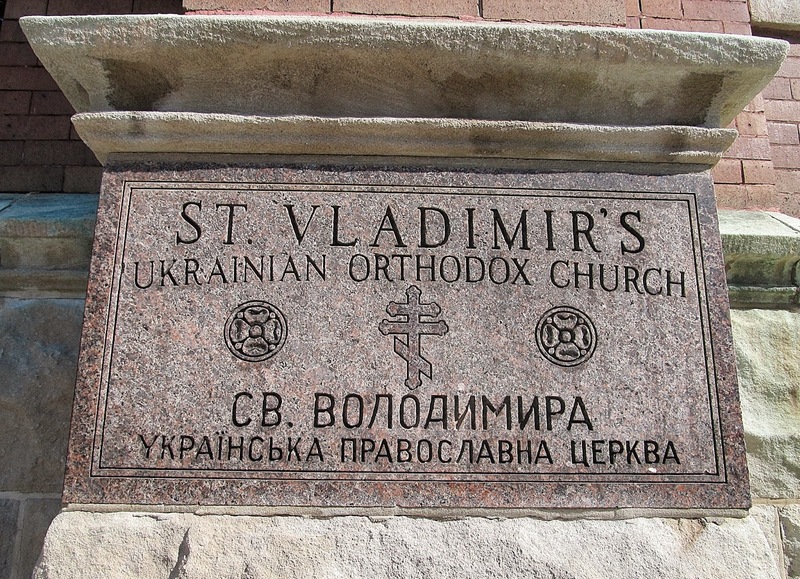 Volodymyr or Vladimir, as the stone in front of the church reads, was Vladimir the Great, the leader of the Kievan Rus from 980 to 1015. He fully Christianized the Rus and became one of Ukraine's ultimate folk heros. He is considered a saint in both the Roman and Orthodox religions and you can find Vladimir on the one hryvnia bill. 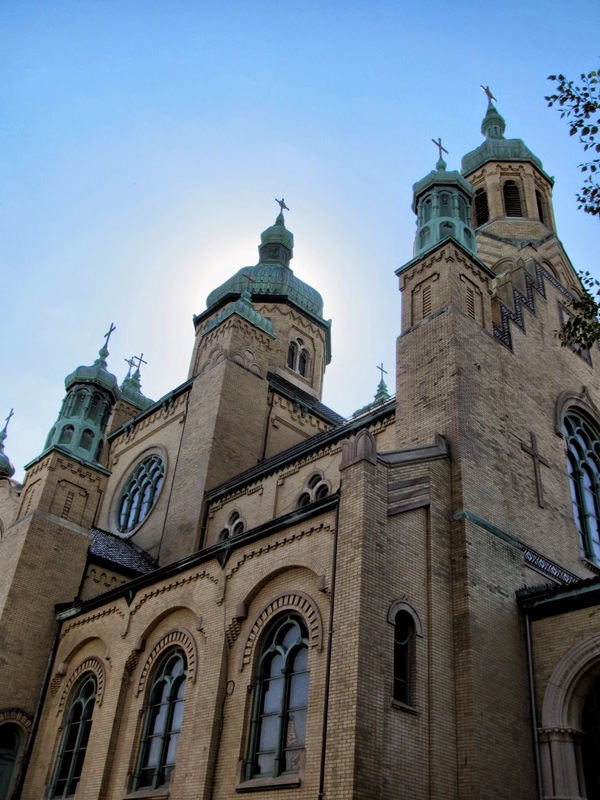 The cathedral is a beautiful tall red brick structure with oxidized copper trim. 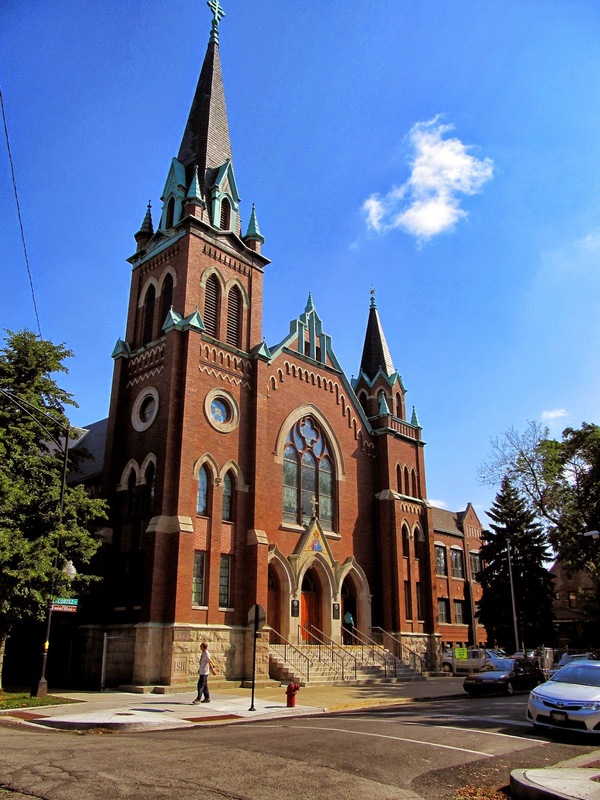 Originally a German Lutheran church, it features gothic architecture and an interior that was remodeled into the Orthodox style. The next stop was St. Nicholas Cathedral which was built from 1913 to 1916 in the Byzantine Revival style. It went through a renovation in 1976 and I really like the white brick. The third church was Saints Volodymyr and Olha. We have already been introduced to Saint Volodymyr but not Saint Olha or Saint Olga. She was the grandmother of Vladimir the Great and was the first Rus leader to introduce Christianity. This cathedral is the newest of the three as it was constructed from 1971 to 1973. The intent was to create a structure with a look of Ukrainian churches from the 11th-13th century and the cathedral features a large gold dome at its center. 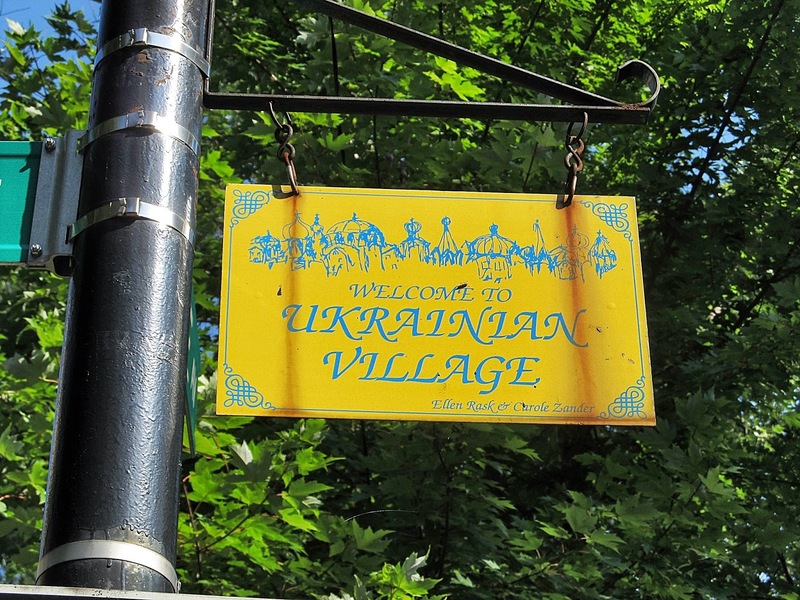 After spending the better part of a year in Ukraine, it was nice to re-enter the world a little bit. 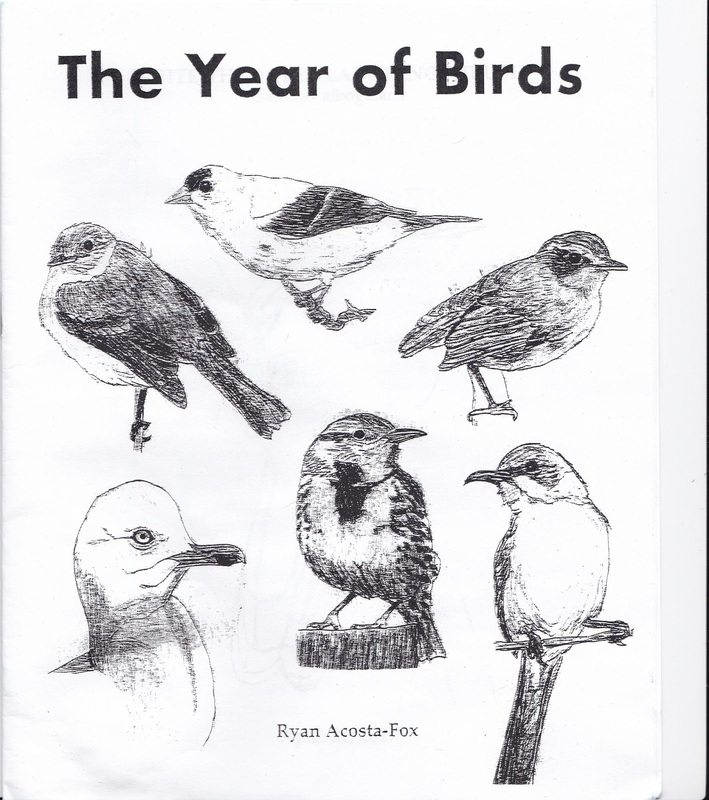 Here's a blast from the past from more than a year ago. It is my last meal while living in the deep South and it comes from our favorite local breakfast place, Ann & Bill's Restaurant in Morrow, Georgia. 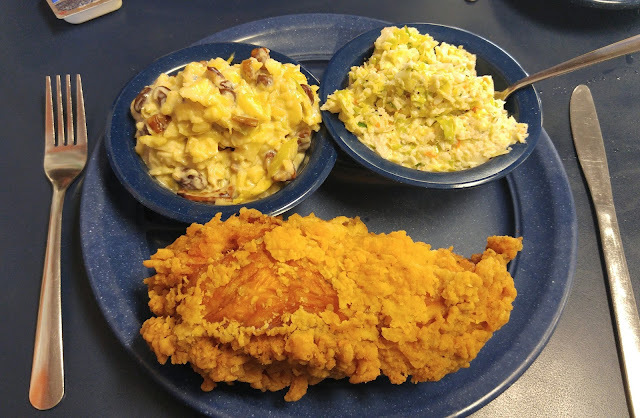 I went with a fried chicken meal with coleslaw (on the right) and their attempt at Waldorf salad (on the left). I had been eyeing the Waldorf salad on the menu as an appetizer for a while but as I typically went with a breakfast item I didn't get a chance until the very end of our time there. Final rating: a bit odd with a thicker mayo sauce then I'm used to. With each meal at Ann & Bill's, you can have a choice of grits or muffins. 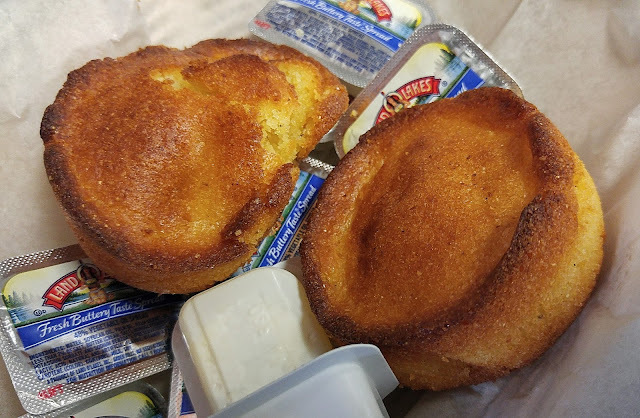 You should always give the grits a try once to say you've had true Southern grits but after that first time, it is muffins all the way! They are homemade and so tasty. So that was it. Laura and I would shortly be headed to Washington D.C. and by the end of the summer we had made our way to central Illinois. 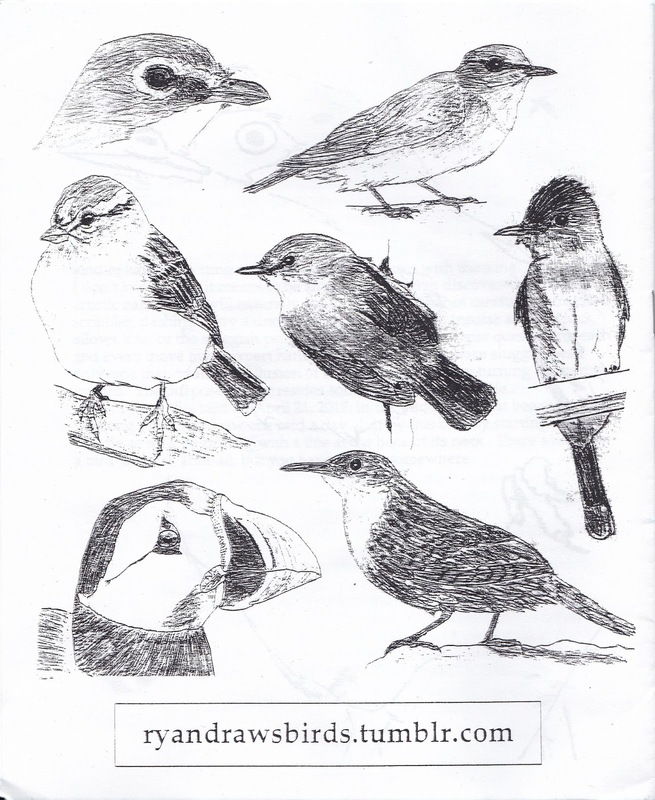 An Examination of Sufjan Stevens' Song "Decatur, or, Round of Applause for Your Stepmother!" 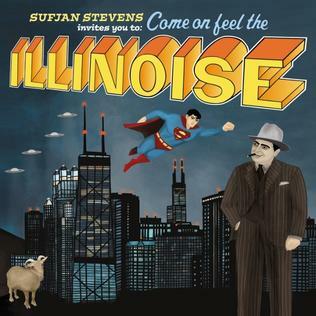 Back in 2005, indie rock all-star Sufjan Stevens released an entire album of songs about the great state of Illinois. This was preceded by an album about Michigan and at one time there was talk of a larger multi-album project that would cover all 50 states (can you imagine!). The album, entitled Come on Feel the Illinoise, features a song centered around Decatur with many subtle references for Decaturites to enjoy. The song is great in that the Decatur references are wound into the song in a way that they can float right by you naturally and I'm sure there are meanings here that I'm still missing even after closely examining them. We begin with banjo and accordion talking with each other and Sufjan softly sings about taking a trip, presumably with other siblings, to Decatur with their step-mom who they dislike greatly. Here's the first reference to Decatur mythology with the mention of a lion, kangaroo, and alligator as each has a story in the cities past. Nellie the Lion was a lion that was shipped to a mansion (as one does) in Monticello, IL and then promptly escaped the grounds. The lioness wondered around central Illinois and made its way to Decatur and was actively hunted by armed citizens in 1917 before vanishing for good somewhere into the cornfields. Decatur had a summer of the kangaroo in 1975 as one was spotted around town by many Decaturites. Lastly, alligators have been seen (and caught) around Lake Decatur, which sits to the south of the city, many times in the last century including recorded sightings in 1892, 1937, and 1966. The Sangamon River is a major river in Central Illinois but not near Decatur. It runs between Peoria and Springfield which are far to the west of Decatur. Decatur's Greenwood Cemetery has a large section devoted to Civil War veterans and is one of the the famous "haunted" places in town. Anyone who has visited Decatur for more than a few days will likely come into contact with Decatur's "smell" which comes from the Tate and Lyle grain factory that sits to the east of downtown. You will also probably have to sit in traffic and watch as a train passes through the middle of town on its way to the factory. The factory smell is not a constant annoyance and when we lived in the north part of town it was mainly a late night experience. After moving downtown near Millikin University, I now rarely smell it at all and it is a surprise when what I describe as "hot dog food" hits my nose. Two legends of Illinois politics, Decatur was the location of Lincoln's first home in Illinois. 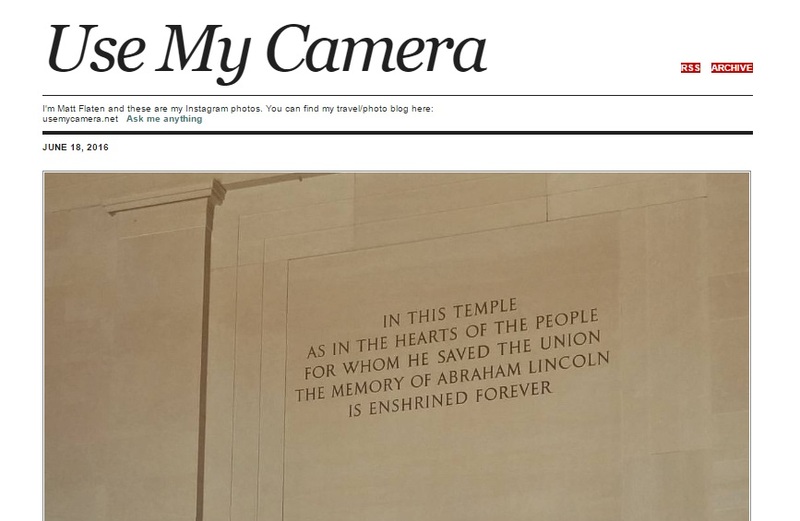 I wrote about the Lincoln statue at Millikin University back in November. I believe the most hidden reference to Decatur is in the couplet about the chicken mobile. 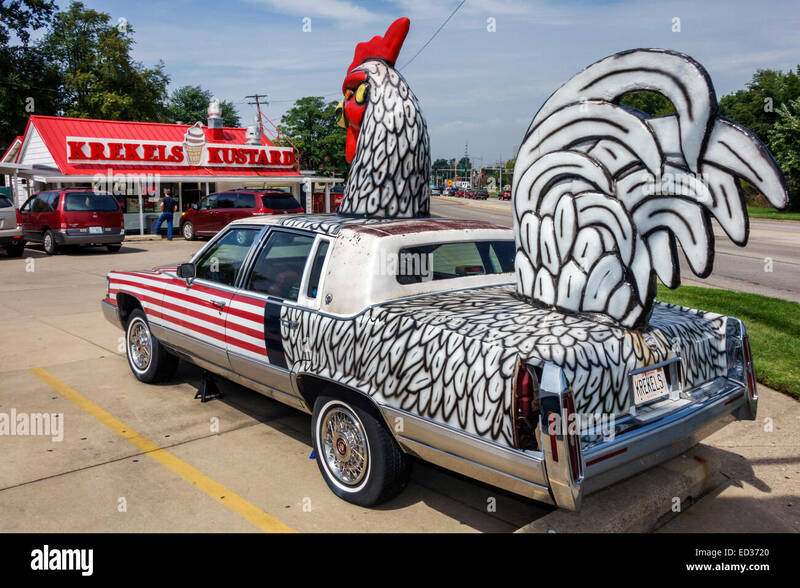 A "chicken car" is the visual calling card of the famous Krekel's Custard shop on the east side of town and the restaurant was recently in the news as it had a fire in June which temporarily closed the eatery. I'm still looking for a meaning in the "data" line but the Caterpillar company (based out of Peoria, IL) as a long standing factory in Decatur where they make large wheel loaders and compactors. And so because the trip to Decatur wasn't so bad after all, Stevens and family appreciate their step-mother a little more. 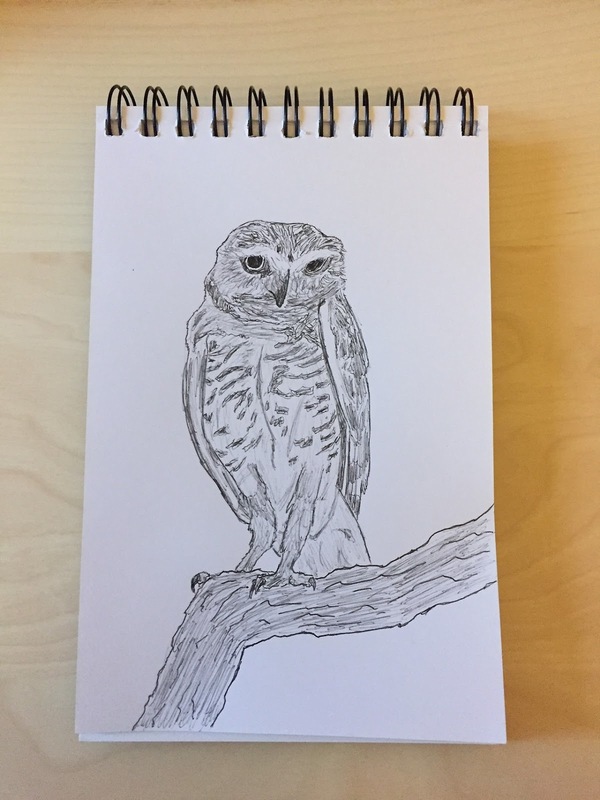 How nice! The phrase "It's the great I am" is a slight modification of the English language answer God gave to Moses when he asked what God's name was. It's still a mystery to me its meaning here. I've always enjoyed the Illinoise album but since moving here I've come to love it even more. I mean, Stevens even wrote a lovely song about one of the state's favorite sons, Adlai Stevenson on a bonus of outtakes album call The Avalanche. I visited Stevenson's grave in Bloomington, IL back in April.